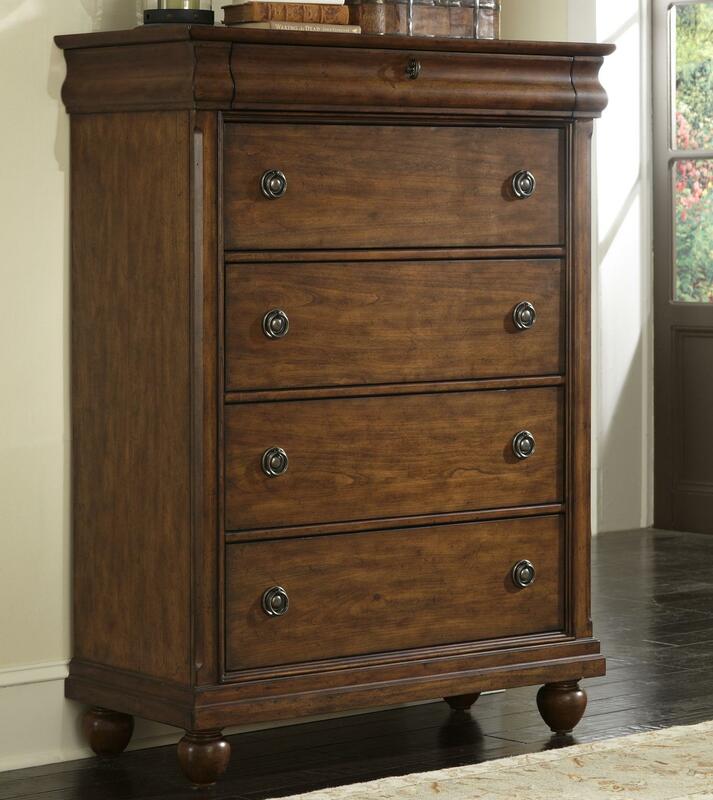 Complete your bedroom furnishings with this beautifully styled storage chest. 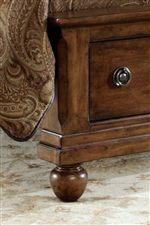 Antique brass hardware complements the pin-knotty cherry veneers and Rustic Cherry finish or the Rustic White finish on birch veneers , while traditional bun feet lift the piece gracefully from the floor. Chamfered pilasters and generous moulding contribute additional elegance. 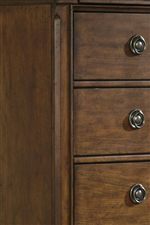 All drawers feature French and English dovetail construction and full-extension drawer glides for strength and longevity. The top drawer is felt-lined to protect jewelry and delicates. 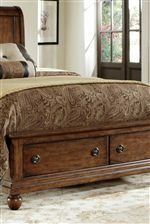 The Rustic Traditions Five-Drawer Chest with Antique Brass Hardware by Liberty Furniture at Miskelly Furniture in the Jackson, Pearl, Madison, Ridgeland, Flowood Mississippi area. Product availability may vary. Contact us for the most current availability on this product.